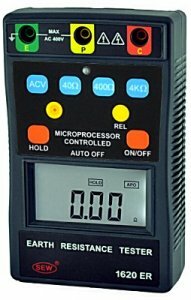 ● Measures earth resistance in three ranges : 40Ω, 400Ω, 4kΩ. ● Capable of measuring earth voltage. ● 3 ¾ digit (4000 counts).